Keerthy Sunder, M.D. will team up with several of the premier business minds of our time to release the new book, “Success Blueprint” by CelebrityPress®. admin August 16, 2016 August 16, 2016 No Comments on Keerthy Sunder, M.D. will team up with several of the premier business minds of our time to release the new book, “Success Blueprint” by CelebrityPress®. Riverside, California– August 16, 2016 – Keerthy Sunder, M.D. has joined best-selling author Brian Tracy along with a select group of experts and professionals, to co-write the forthcoming book titled, Success Blueprint. Nick Nanton, Esq., along with business partner, JW Dicks, Esq., the leading agents to Celebrity Experts® worldwide, recently signed a publishing deal with Dr. Sunder to contribute his expertise to the book, which will be released under their CelebrityPress® imprint. With a driving passion for understanding how the entire body works together for better health, Dr. Keerthy Sunder, M.D. brings more than twenty years of experience to the Mind & Body Treatment and Research Institute, at which he is the Founder and Chief Medical Officer. Born in India, his idyllic early childhood in the beautiful Buddhist Kingdom of Bhutan had a profound influence on his philosophy and career path, including his deep desire to integrate the mind, body, and soul into all his professional and personal endeavors. Dr. Sunder holds diplomas from the American Board of Psychiatry and Neurology, American Board of Addiction Medicine, and the Royal College of Obstetricians and Gynecologists, London. He is also a Distinguished Fellow of the American Psychiatric Association, a Member of the American Academy of Anti-Aging Medicine, a Board Member of the National Alliance on Mental Illness (NAMI), San Jacinto, and an Editorial Board Member for the Journal of Addiction Therapy and Research. He is also a Dream Builder Member of the Academy of Integrative Health and Medicine (AIHM), a member of the credentialing committee for the American Board of Addiction Medicine and a Credentialed Menopause Practitioner. His integrative perspective to health lends great value to all these organizations. 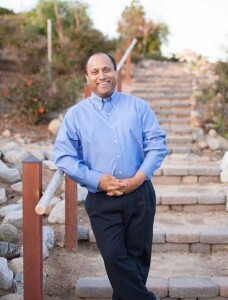 Also serving as a speaker at many national and international conferences, Dr. Sunder has presented at the Marce Society of Psychiatric Disorders of Childbirth Conference in Oxford, England, the Mayo Clinic in Rochester, Minnesota, and the National Alliance on Mental Illness (NAMI) Annual Convention in Anaheim, California. His work has been published in the American Journal of Psychiatry, Journal of Clinical Psychiatry, and most recently, the Journal of Addiction Therapy and Research. His latest publication raises awareness of the importance of Mindfulness Meditation in building Resilience in the throes of Addictions and PTSD. His book, Addictions: Face Your Addiction and Save Your Life, an Amazon International Best Seller was published in 2014. He is also a co-author for the book Success Blueprint with renowned author Brian Tracy, adding Best Selling Author to his list of impressive accomplishments. Through his life and work, Dr. Sunder continues to strive to help all individuals achieve their peak performance in their lives. To experience the best of the East and the West, visit the Mind & Body Treatment and Research Institute at http://www.mindandbodytreatment.com. For further information, request contact with the Institute at 951-300-4905 or contact@mbtrins.com.